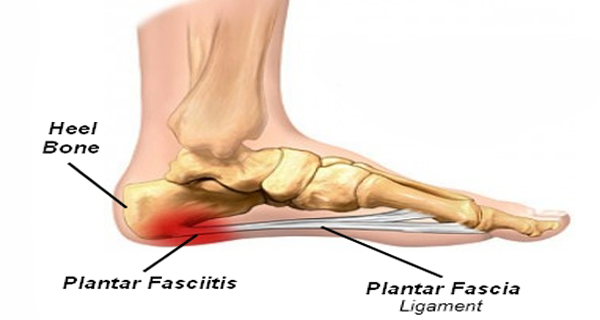 Following on from last week where the condition was described and risk factors outlined, this week we are looking at the treatment options for plantar fasciitis in runners. Please keep in mind this advice does not supplement getting in and seeing a practitioner face to face and should only be used as a guide. To review last week’s blog please follow this link. The goals of treatment for plantar fasciitis in runners should be to address as many of the intrinsic and extrinsic contributing factors (mentioned in the last blog) as possible to try and improve patient pain levels, improve quality of life and get them back to exercise or running as soon as possible. In regards to which treatment options, we know many offer potential benefits but clinical decision making is hampered due to a lack of robust evidence to inform the choice of treatment.2 Which exact treatment modalities will be executed by a practitioner will usually be determined by a combination of what the research says as well as their clinical experience in what has worked well with previous cases. physical therapy, by either a suitably trained Podiatrist or Physiotherapist, which may include a combination of massage, dry needling, exercise prescription and stretches. Exercise prescription usually in the form of a graduated loading program eventually using weight exercises to try and further stimulate the healing response. Home treatment of icing and rolling a tennis ball/iced water bottle is common. Trying to offload the plantar fascia while a patient in weight bearing I find is key and this may involve a combination of wearing a traditional 10mm heel pitched jogger, adding additional heel raises and managing footwear usage i.e. wearing joggers as often and if not a suitable heel pitched casual or work shoe. A particular foot function taping called low dye taping is commonly used to help support the arch structure, improve functioning and help take the pressure off the plantar fascia. Foot orthotics, either customised or off the shelf, are commonly used to address any foot type or function issues that may exist. For example, high arches and over-pronation have been linked however it is important to keep in mind these are still not strongly supported by research. The main aim of these, similar to the taping, is to do the best we can to take the pressure and loading off the plantar fascia. Particular to running we also need to manage activity load especially if we have determined that running is still acceptable and there is a low chance of the condition deteriorating further. What this acceptable level is, needs to be discussed with your treating practitioner and reviewed along with the course of treatment. Running load management would include for example managing the frequency, intensity and duration of running. If symptoms did happen to deteriorate there may be a period of active rest where the aim is to stop running but maintain fitness through non-impact activities such as swimming and cycling. I find for the majority of running patients the worse thing they can do is stop all activity altogether. It is important to keep moving for benefits of maintaining muscle-tendinous unit strength, endurance and length even though not running specific. Once pain levels are back at a low acceptable level and the patient has met specific strength markers then starting on the appropriate return-to-running program is indicated. My experience with the use of the aforementioned non-conservative treatment options (except surgery) is that it is case dependent and are only considered once as many intrinsic and extrinsic factors are addressed. If there is not a gradual improvement in pain levels over the course of 2 to 3 months I find this may be a reason to also implement these. Finally, it is important to understand there is no quick fix injection or magic device that will suddenly resolve plantar fasciitis for you. It can be a particularly stubborn condition but I find there are always contributing factors we can address that will help reduce pain, improve quality of life and hopefully get you back to running which in most cases is even safe to do even if the condition hasn’t resolved completely. 1 PETRAGLIA, F.; RAMAZZINA, I.; COSTANTINO, C. Plantar fasciitis in athletes: diagnostic and treatment strategies. A systematic review. Muscles Ligaments Tendons J, v. 7, n. 1, p. 107-118, 2017 Jan-Mar 2017. ISSN 2240-4554. Disponível em: < https://www.ncbi.nlm.nih.gov/pubmed/28717618 >. 2 BABATUNDE, O. O. et al. Comparative effectiveness of treatment options for plantar heel pain: a systematic review with network meta-analysis. Br J Sports Med, v. 53, n. 3, p. 182-194, Feb 2019. ISSN 1473-0480. Disponível em: < https://www.ncbi.nlm.nih.gov/pubmed/29954828 >.